Every time I spend $5 on another tiny container of healthy ice cream, I remember why it is that I like to keep treats on hand in the freezer for times like this. 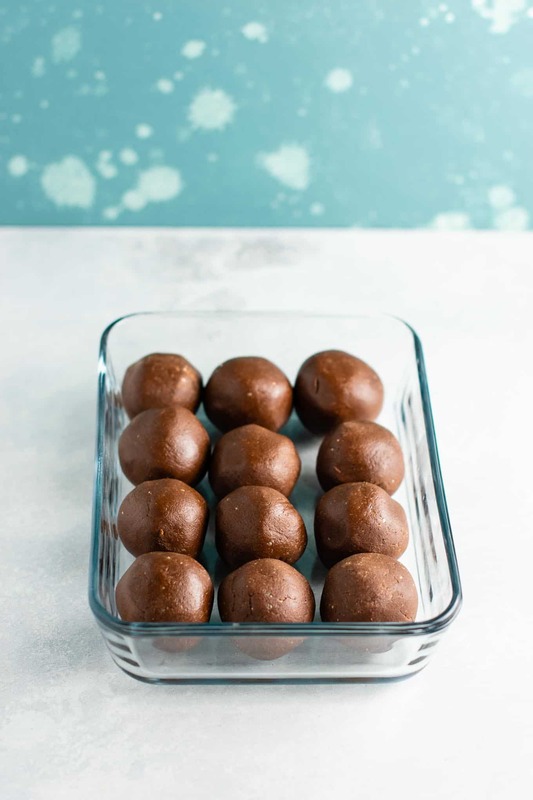 Protein balls are one of my favorite ways to curb my nighttime (and noonday) sweet tooth. 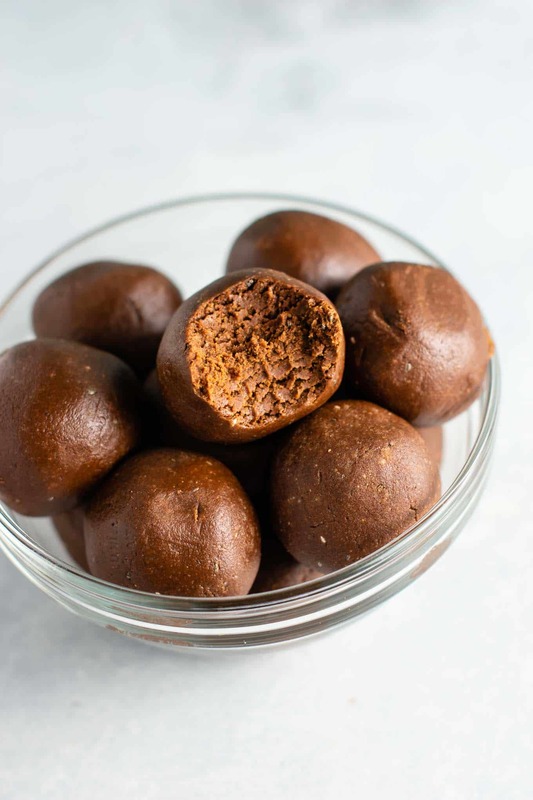 These chocolate protein balls not only satisfy any chocolate craving, but the protein helps me stay fuller longer. Win win! 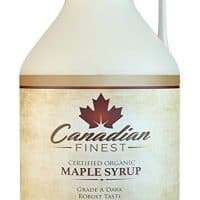 This recipe is naturally gluten free, not too sweet, and made with simple wholesome ingredients. 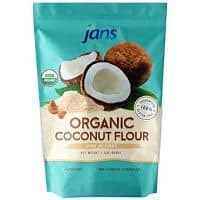 Add the cacao, protein powder, salt, oat flour, and coconut flour. Stir to combine, then use your hands to knead it up until a ball forms. The batter should not be sticky at this point. I don’t know about you, but every single night I get cravings for something salty, followed by something sweet. 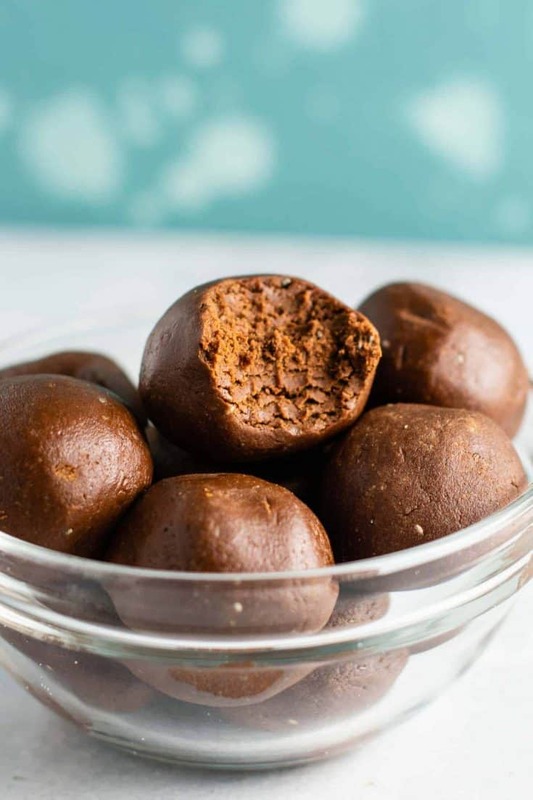 That can easily add up calorie wise, so a protein ball is definitely a healthier way for me to keep my body fueled and my sweet tooth happy. 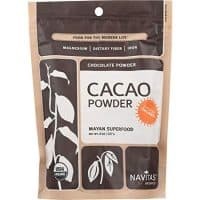 I love cashew butter in this recipe, but you could sub peanut butter or any other nut butter you want. 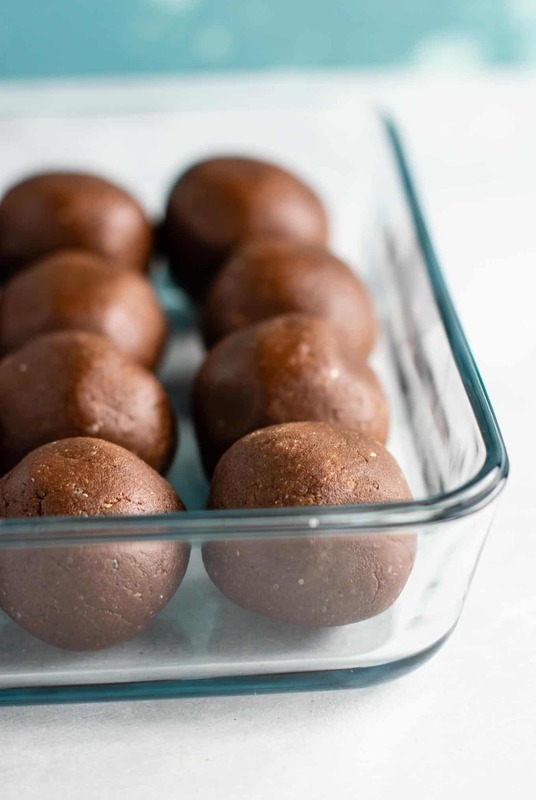 I love experimenting with different flavors of protein balls and the flavor possibilities are endless. 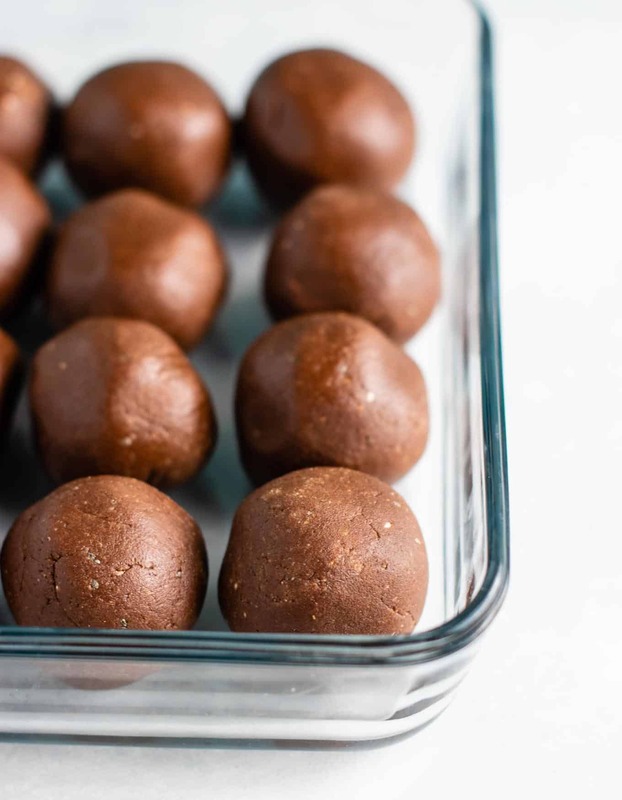 Last time, I made cookies and cream protein balls and they were so good too! 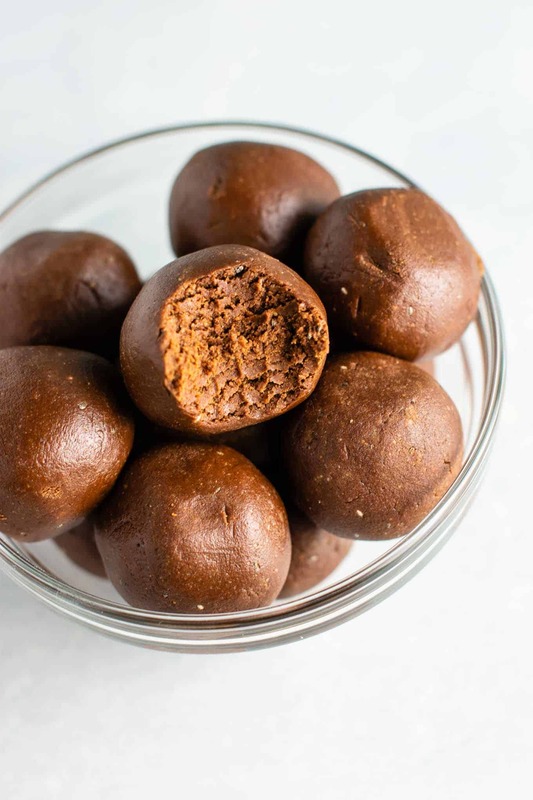 Easy chocolate protein balls made with cashew butter, cacao powder, and pure maple syrup.